The Weight Watcher: Become an Atkins Superstar! Successful Atkins dieters with compelling weight loss stories are being sought by the nutrition company as they search for a new face to front an ad campaign. The Denver-based company is accepting submissions for the contest, which also includes a $5,000 shopping spree as one of the prizes. The contest is being promoted via a dedicated website, as well as on Facebook and Twitter. This is Atkins' first contest and the first time an ordinary person has been featured in an ad, according to Atkins Nutritionals Brand Manager Lisa Wells. She told Marketing Daily: "We are consistently coming across inspiring Atkins weight loss success stories, and want to positively acknowledge those who have transformed their lives by losing weight on the Atkins diet." But hurry!! You can only submit your Atkins diet success stories during round one (now through June 30) or during round two, which runs Sept. 1-30. One winner from each round will receive a $5,000 shopping spree at the retailer of their choice and will be entered to win the grand prize. The grand prize includes round-trip airfare for the winner and guest to Los Angeles, two nights lodging at the Beverly Wilshire Four Seasons Hotel, professional makeup and hair for a photo shoot on set with Atkins spokesperson actress Courtney Thorne-Smith and a low-carb dinner for two at Spago Beverly Hills. 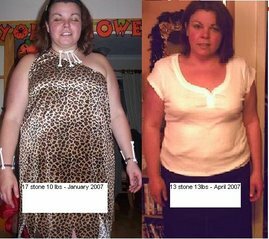 The entry process includes submitting a before and after photo and writing a weight loss success story in 300 words or less. Contestants are asked to share their Atkins journey, how they achieved their weight loss goals, what they enjoy about Atkins and what motivates them. The round one winner will be contacted by July 15 and the round two and grand prize winner will be announced by Oct. 15. Atkins is a leading player in the $2.4 billion weight control nutrition category. The Atkins Diet focuses a healthy diet with reduced levels of refined carbohydrates and added sugars and encourages the consumption of protein, fiber, fruits, vegetables and good fats. Atkins Nutritionals, Inc. manufactures and sells a variety of nutrition bars, foods and shakes designed around the nutritional principles of the Atkins Diet. The products are available in more than 30,000 locations throughout the U.S. and internationally.